2015 has seen London-based producer Riaz solidify his reputation as one of the hottest up-and-comers emerging from the capital. Earlier in the year his remix of Jake Travis’s ‘Do What I Gotta Do’, on Swiss label Showtime Music, was an instant success with fans, soaring into the number 1 spot on trackitdown and going iTunes Dance Top 10 in the label’s home country. Hot on the heels of that victory, Riaz’s remix for Hot Creations-signed New York-based duo Eskuche & Nu Sky proved a dance floor smash and gained support from a wide range of DJs. Continuing with what is proving to be a landmark year in Riaz’s journey, his debut EP 'On A Mission' hit number 7 in the Beatport chart this May, growing his brand as well as his home and international status. 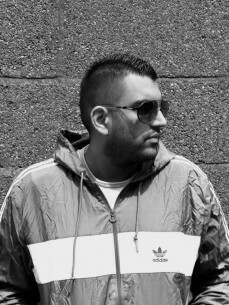 Riaz’s substantial background as a respected DJ across the UK and beyond feeds expertly into his production work and keeps him abreast of what’s working in the field. His signature style has caught the eyes and ears of renowned club brand Ministry Of Sound, where he Djs four times a year, while his bookings regularly stretch from Ibiza to Berlin. His quarterly residency in Amsterdam for one of the biggest warehouse rave brands, Binnen Plaats, is ensuring he has a strong pan-European presence.